Hampshire Harvest Weekend is a fun-packed family event celebrating the County's food and farming. Join us for live music, children's activities, vintage tractors, falconry displays, farm animals, horse-drawn wagon rides, Hampshire Fare market, local beers and ciders and, new for this year, a vintage food van offering delicious hot food, wonderful cakes, scones, tea and even a glass of fizz. A special Evensong service celebrating harvest will take place in the Cathedral at 3.30pm on Sunday afternoon, all are welcome and full details will be available in the coming months. This is a free event all are welcome. Fordingbridge Fudge are producers of traditional, luxury homemade fudge using milk and butter from a Fordingbridge Guernsey herd. 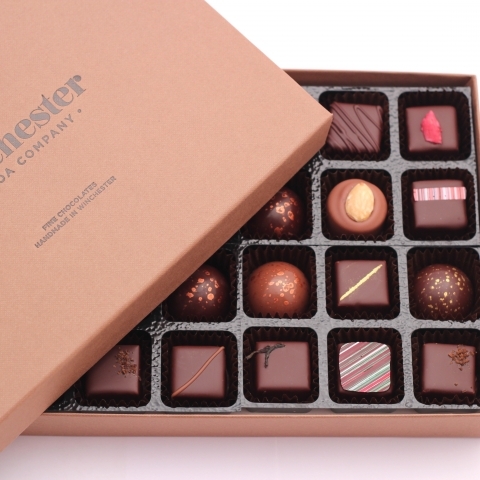 An award-winning chocolaterie creating luxury filled chocolates and bars in Winchester, Hampshire. Gospel Green is a Cyder made using the ‘Traditional Method’ or more commonly known as the ‘Champagne Method’.